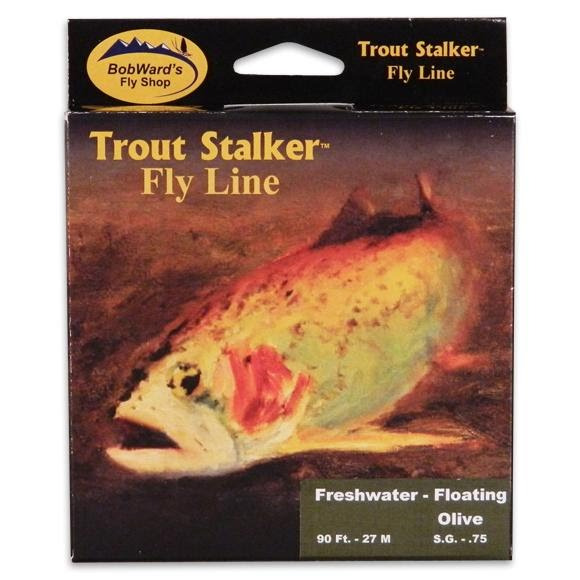 Stone Creek's Weight Forward - Floating Fly Line is custom made exclusively for them. The Teflon treated Flex-Cote coating has a slick, stiffer finish with a very low coefficient of friction for long, accurate casts. The coating is rated at a phenomenally low .75 S.G. (Specific Gravity) giving these lines superb buoyancy, even in the roughest water. Stone Creek &apos;s Weight Forward - Floating Fly Line is custom made exclusively for them. The Teflon treated Flex-Cote coating has a slick, stiffer finish with a very low coefficient of friction for long, accurate casts. The coating is rated at a phenomenally low .75 S.G. (Specific Gravity) giving these lines superb buoyancy, even in the roughest water.